About 4:45 p.m. 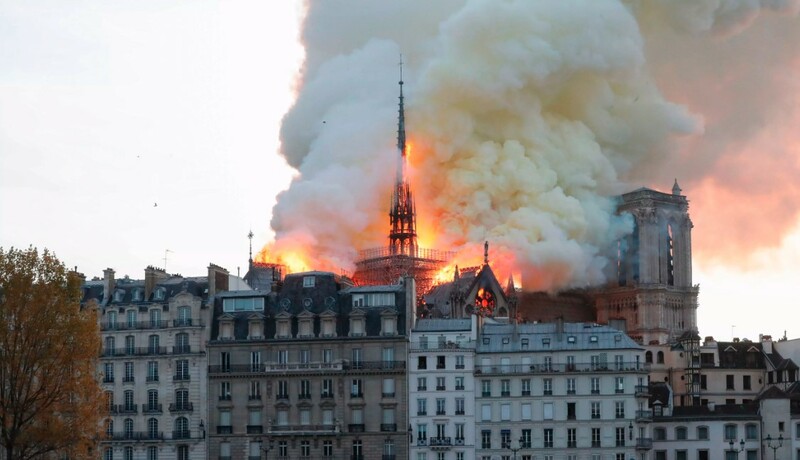 ET, Paris’ fire chief said Paris Notre Dame Cathedral has been saved from total destruction. Approximately 9 hours after the blaze had begun, French fire department spokesman Gabriel Plus said the fire was completely under control. 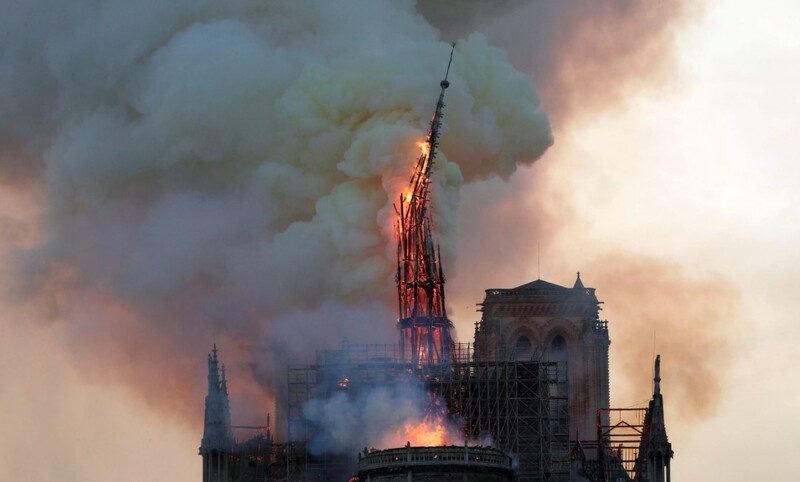 Here watch the video of collapse of Notre Dame Cathedral spire! The surrounding area of the cathedral was also evacuated. There are also rumors that one fireman was seriously injured. What is the reason of the fire? The Paris prosecutor’s office said it was treating the Notre Dame Cathedral fire as an accident. “I was not far away, I saw the smoke. At first I thought it was the Hotel-Dieu (hospital) but then I realised it was the cathedral. 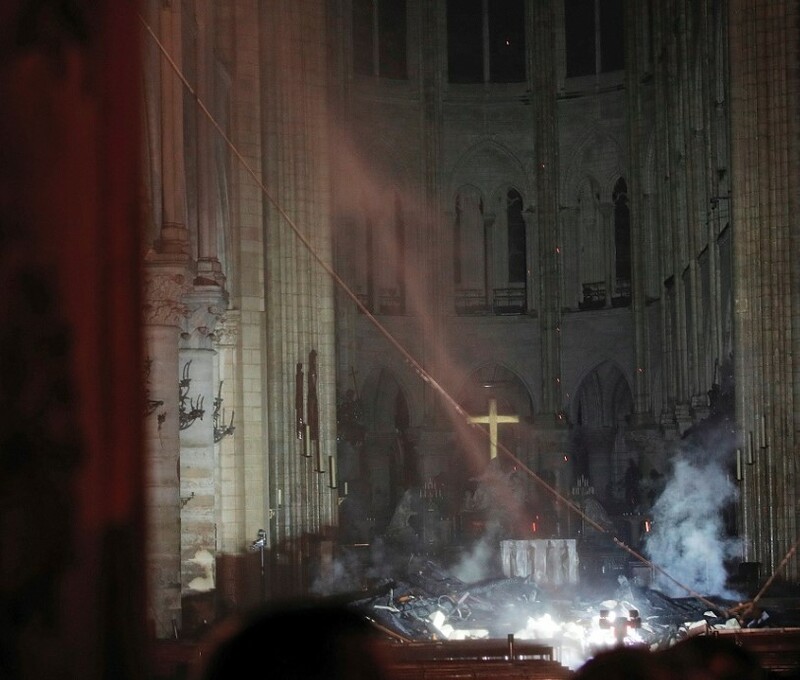 When I arrived, ash was beginning to fall,” said Olivier De Chalus, head volunteer guide of the cathedral. Watch the video here! Notre Dame Cathedral in Paris has been one of the most enduring and symbolic monuments of the French capital and among the most celebrated cathedrals in Europe. It is considered one of the longest and richest cathedrals: the site of royal weddings, the consecration of Napoleon Bonaparte as emperor and the beatification of Joan of Arc. The cathedral was immortalized in popular culture by Victor Hugo in his Gothic novel The Hunchback of Notre Dame, later turned into a Disney film. Notre-Dame de Paris means “Our Lady of Paris”, often referred to simply as Notre-Dame. The cathedral was begun in 1160 and was largely completed by 1260. The first stone of what was to be a massive edifice measuring 130m long and 48m wide, is said to have been laid in 1163, in the presence of Pope Alexander III, but it took another 200 years to complete and underwent frequent modifications in the following centuries. How to Change Our Life and Live Better Without Wasting the Time? Why Is Singapore Changi Airport Considered the Best Airport?